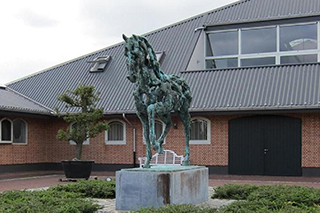 Art Gallery De Laro is situated in the idyllic village of Meerle, 10 km away from Breda and 30 km from Antwerp. The green surroundings, as well as the 2 unique indoor galleries offer space, and the rest to enjoy this beauty. Keeping quality in mind we organize a new exhibition every 3 months, so you can enjoy the surprising work of our professional artists. 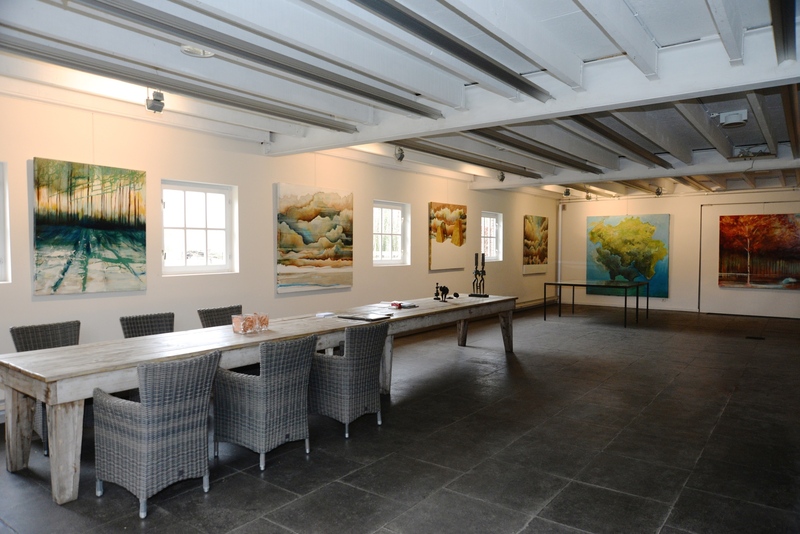 With 15 years of experience, De Laro has grown to be an international gallery with absolute quality and knowledge. The gallery holder tells the stories behind the artworks full of passion and enthusiasm, that can carry the past of an artist. De Laro, art gallery offers you professional guiding with the purchase of your artwork. 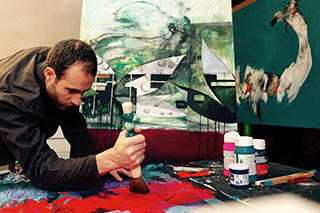 De Laro makes sure the buyer of an art work is involved in the proces of creation. The artist is the creator of an artwork, when the gallery is the mouth of the artist and makes sure the artwork gets the space and attention so an artexperience can arise. The buyer makes sure the artwork gets its final destination. At this moment the art experience reaches its peak of the total artcreation. 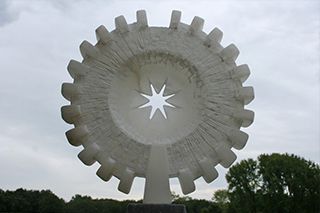 This cirkel makes an artwork an experience and proces. De Laro works with (inter)national (top)artists from Belgium, Holland, France, Spain, Cuba, Russia, Australia, America and has earned her name and fame. Please, come and see us, and taste the environment and atmosphere, then you'll know what we mean. We always try to introduce new names to you, as you discover in our agenda. You can visit us in both summer and winter. After all, there is something for everyone in contemporary art. Interesting events and artists from all over the world, who want to surprise you with their work: that's what we are about. That is why you keep a close eye on our news page. We hope to welcome you soon. The Laro is an exclusive place for business and private meetings. The beautiful estate is ideal for meetings, company events, wedding parties and receptions. For example, we have various meeting rooms.